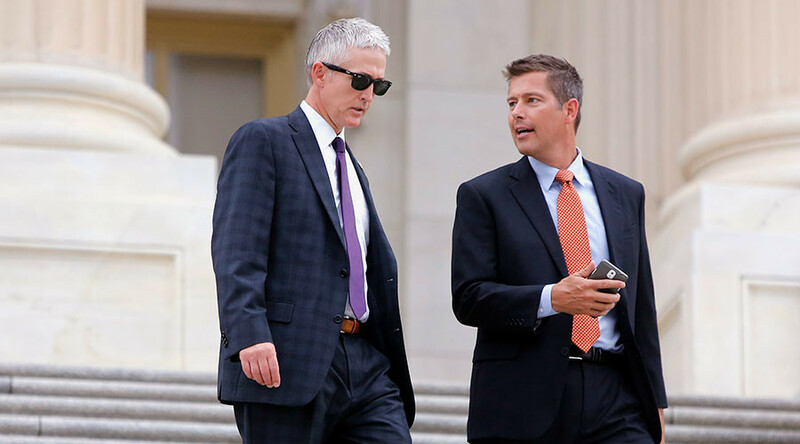 Republican Representative Sean Duffy (R-WI-7) has argued “there’s a difference” between attacks carried out by Muslim terrorists and those carried out by white supremacists and others. “I don’t know, but I would just tell you there’s a difference,” Duffy replied. “Death and murder on both sides are wrong... But again you don’t have a group like ISIS or Al-Qaeda that’s inspiring people around the world to take up arms and kill innocents. That was a one off.” he said. Camerota responded by pointing out that attacks like the Oklahoma City bombing and the 2015 Charleston Church massacre were perpetrated by white extremists. But Duffy claimed those incidents aren’t the same as attacks carried out by Muslims. The Wisconsin congressman, who is a former cast member on the reality TV show The Real World , compared Trump not mentioning the Canadian mosque shooting to the media not covering attacks on Trump supporters. Camerota questioned his assertion that there is a difference between the mosque killings and other terrorist attacks. “Why do you think that when it’s a white terrorist it’s an isolated incident?” she asked. The congressman again referenced the terrorist networks like Islamic State (IS, formerly known as ISIS, ISIL) and Al-Qaeda that is inspiring attacks around the world. “Are you going to compare the one attack up in Canada to all the death and destruction in Europe from refugees?” he responded before asking how America could possibly vet against hatred and white supremacy.